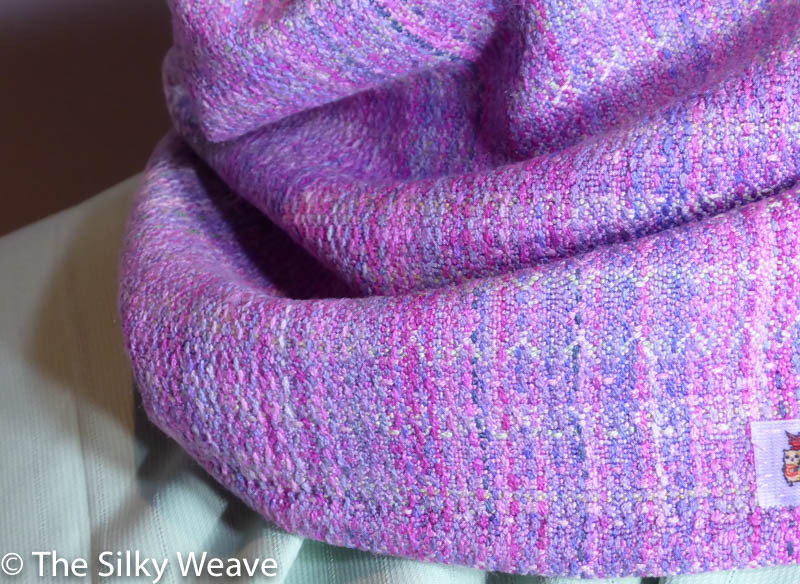 Oh, the softness! 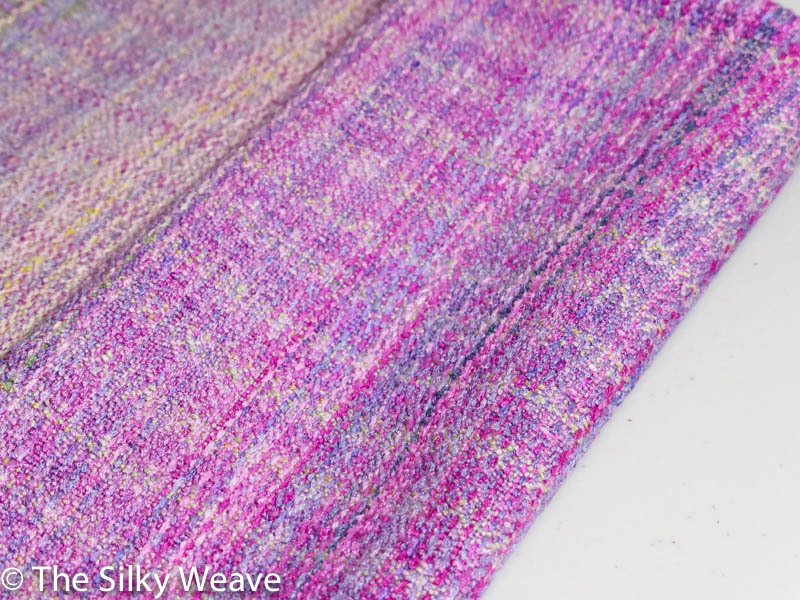 This loop is woven in a diamond variation pattern, and the weft is the same silk as in warp. 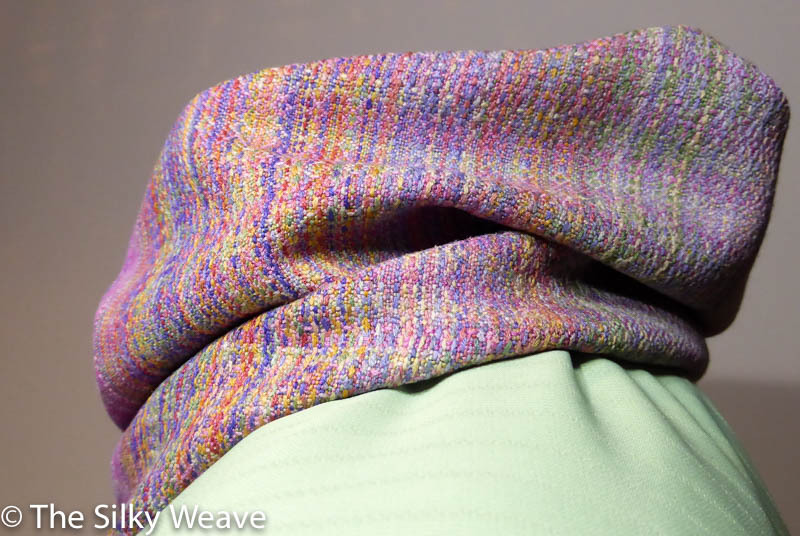 The weft is hand-dyed in pale pink, green, golden tones. And it is for sale! It is 30 cm in height (12 inches) and 62 cm in loop (32 cm flat, or 12.5 inches flat). 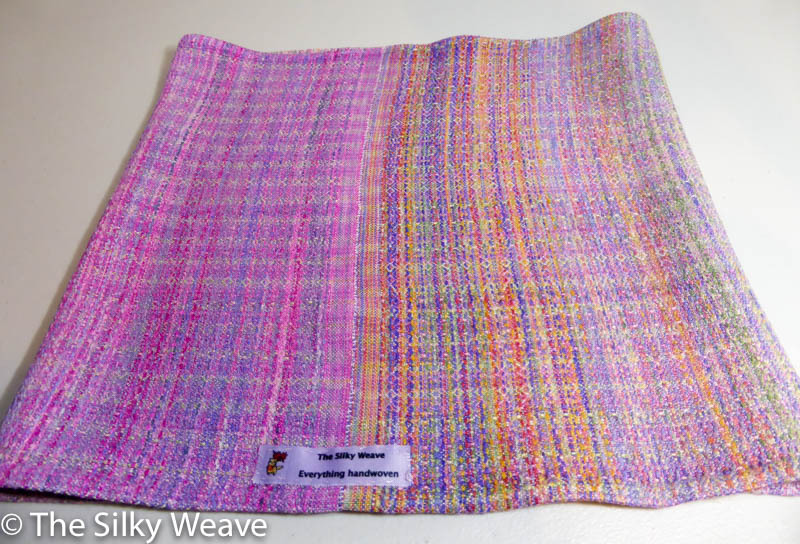 The edges are hand-rolled and hand-stitched with a silk thread. 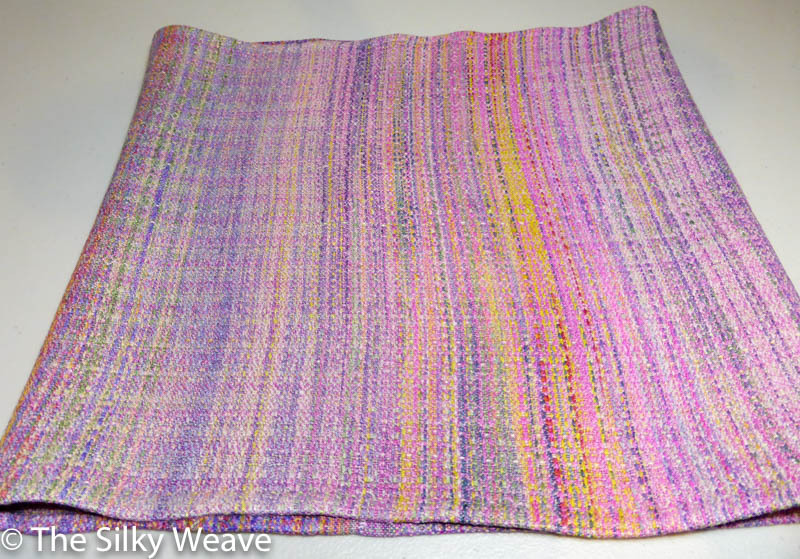 You can buy it in the Silky Weave shop on Etsy – link here.